Despite its highly pocketable size, Chromebit packs respectable specs. They include Rockchip 3288 chipset, Mali 760 GPU, 2GB of RAM, 16GB of built-in memory, and a full USB 2.0 port. Connectivity options of the charming gadget include Wi-Fi 802.11ac and Bluetooth 4.0. The latter is particularly important as users will need it to connect a wireless keyboard and a mouse to the device. 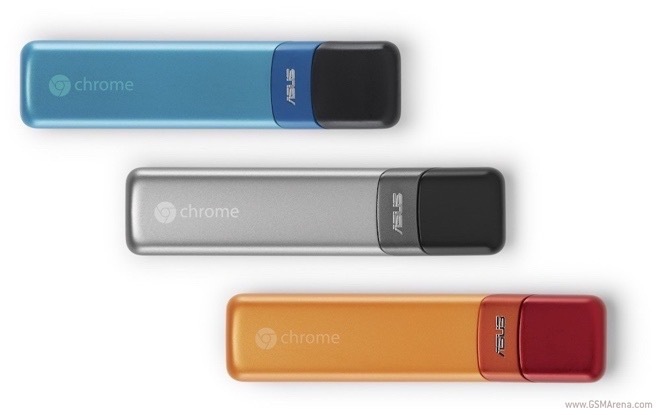 The Chromebit packs a swiveling mechanism which allow users to easily hide it behind a monitor. The device will be available at some point this summer with sub-$100 price tag.